Last week, a shocking news story made headlines in the online news circuit. 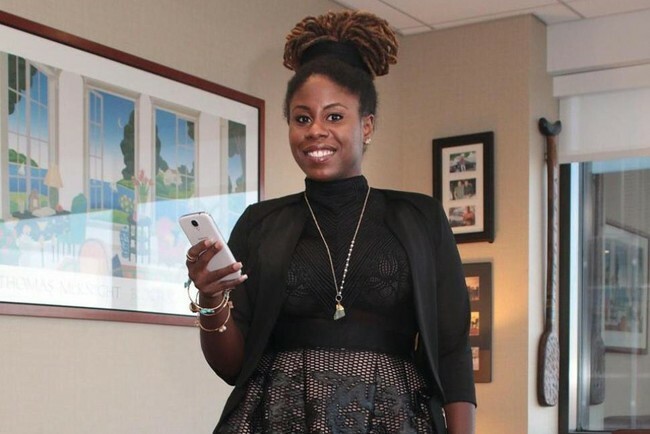 Kamilah Brock, a Black businesswoman living in New York City, was involuntarily committed to a mental institution by police after trying to reclaim her impounded BMW in September 2014. During the initial incident, Brock was pulled over for unclear reasons while driving her car and dancing to music, and then held at a New York City precinct for several hours before being released without charges. Brock attempted to leave, but was handcuffed by police who allegedly insisted they would take her to her car. At that point, an astonished Brock was approached by EMS and transported to the psych ward of the Harlem Hospital where she was involuntarily committed and forcibly medicated (with sedatives and bipolar medication) for eight days. Brock claims that the only bases for her commitment and diagnosis with bipolar disorder were her (true) claims that she owns a BMW, is a banker, and that Barack Obama follows her on Twitter. Many people are puzzled and outraged that this could happen in today’s America. Brock’s case raises a lot of questions. Was Brock stereotyped and discriminated against by law enforcement because she is a Black woman? By health professionals? Even if she was wrongfully committed, why did the healthcare professionals fail to realize that she was not mentally ill? Where in the system can breakdowns occur that could lead to the wrongful commitment of someone who is not mentally ill? New York has an estimated 168,000 people with schizophrenia and 337,000 people with severe bipolar disorder out of a population of 15.3 million. While the aim of emergency and civil commitment laws is to help the mentally ill and protect both themselves and the public, these interests must be balanced against a person’s civil rights and the risk of wrongful commitment. Although the full facts of the case are unknown, it is worth taking a deeper look at the laws relating to emergency commitment in order to understand what could have gone wrong. It is clear that there is a potential for breakdown at the initial emergency admission stage. Often relied upon as first responders during mental health crises, police officers in most states, including New York, have the power to commit people to mental institutions without their consent. We should be concerned whether police officers in this case, or in general, are adequately trained to recognize the signs of mental illness. In addition, the Emergency Standard is subject to implicit biases of law enforcement who may misperceive behavior by a person of a different race or cultural background. Brock’s attorney stated that she became (rightly) impatient while waiting for the police to look for her car. Was Brock’s commitment informed by application of objective criteria, or by stereotypes about angry Black women? Once the person is brought to the mental health facility, a staff physician must evaluate and confirm whether they are a danger to themself or others. Here too, there is a potential for breakdown. If a person is confused, upset, or unsure of what is happening to them, it is possible that they might display strange behavior. Another safeguard is the requirement that after the 48 hours a second physician (who must be a member of the psychiatric staff) confirms that the patient meets the Emergency Standard. At this point, it is hard to imagine how the system could fail. Brock was injected with sedatives and medications to treat bipolar disorder (lithium and lorazepam) after she was admitted to Harlem Hospital. Some less common side effects of lithium include confusion, poor memory, or lack of awareness as well as fatigue and weakness. Thus, a health care provider could have trouble correctly diagnosing someone who had been both sedated and heavily medicated. Again, the cultural competency of the provider and their own implicit biases can enter in when they are evaluating a patient, especially with regard to the truthfulness of patient statements. In Brock’s case, providers allegedly did not believe her statements, which informed their bipolar disorder diagnosis. According to the New York Office of Mental Health, a person has the right to object to treatment and have the decision reviewed by Office of Mental Health physicians and by a court. “[I]n an emergency,” however, one can be given treatment without their consent. Brock claims she was forcibly injected with medication and sedatives without her consent. It is unclear, however, whether she was informed of or understood her right to object, or whether that right was respected. It is equally unclear whether her case was classified as an emergency and the hospital was able to bypass her right to consent. Clearly, there are multiple points at which misdiagnosis could occur and racial biases could enter in. The ultimate question is, how can wrongful commitment be prevented? Negative consequences for diagnosis and treatment result when mental health professionals fail to consider the effects of racial and cultural stereotyping. We need more research, training, and attentiveness to differences in order to understand the intersection between mental health and race, ethnicity, and cultural background, and in order to prevent another Kamilah Brock story. *Courts have held that involuntary and emergency commitment provisions in New York’s Mental Hygiene Law meet procedural due process requirements. Project Release v. Prevost, 722 F.2d 960 (2d Cir. 1983); Katzman v. Khan, 67 F. Supp. 2d 103 (E.D.N.Y. 1999) aff’d, 242 F.3d 365 (2d Cir. 2000).